These are portraits of Hugo de Groot by Michiel Jansz. 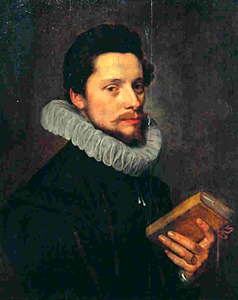 van Mierevelt . 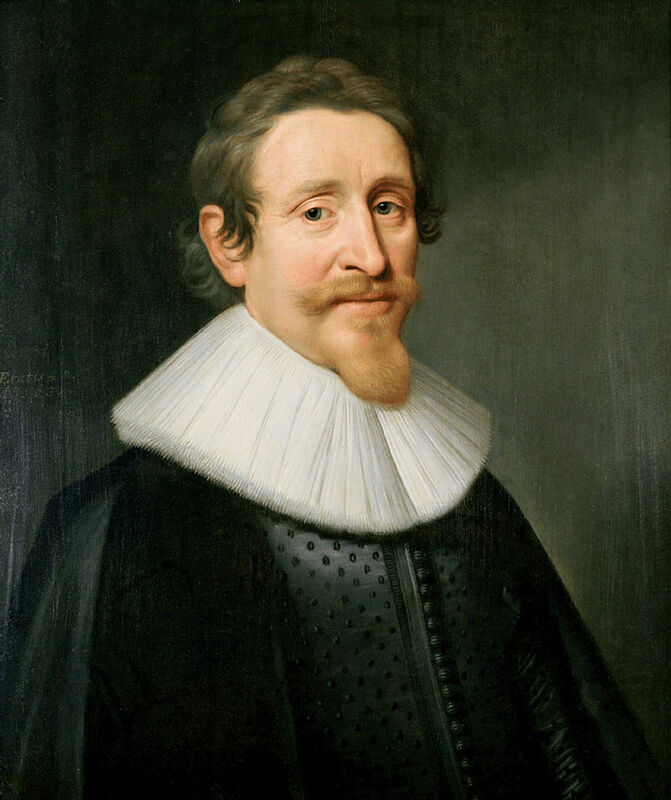 Hugo Grotius (10 April 1583 – 28 August 1645) was a famous Dutch lawyer, historian and writer, an advocate of free thought and free seas. All óf that, and handsome, too …. Why write about him? Well, he was was held prisoner at Castle Loevesteijn, until his wife pulled the famous stunt of letting him escape by hiding him in a book chest (1621). I went to Loevesteijn yesterday to fo some minor repairs on the Heaven and Earth exhibition – one of the trees had become unmoored. And was struck by te fact that we think it is normal that castles, fortresses and strongholds are tourist attractions – in part because of the groundbreaking work on international law that de Groot did. Our exhibition being about religious diversity and tolerance, it is well located at Loevesteijn. Next stop should be the Nieuwe Kerk in Delft, where William of Orange is buried. William, nicknamed the Silent, was the main force behind liberating and uniting the Netherlands, and very much into tolerance too.